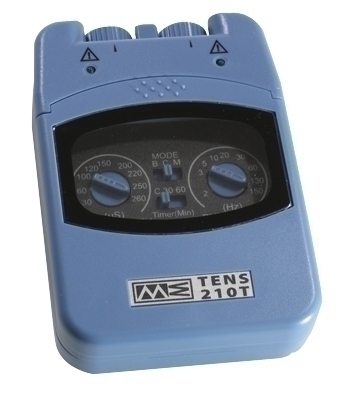 The TENS 210T is a battery-operated two-channel transcutaneous electrical nerve stimulator that creates electrical impulses. Intensity, duration, number per second and modulation of those impulses can be altered with easy to use controls or switches, all in a light-weight package. Has timer.